In place of this week's Color Inspiration, I bring you some Coastal Christmas Inspiration. 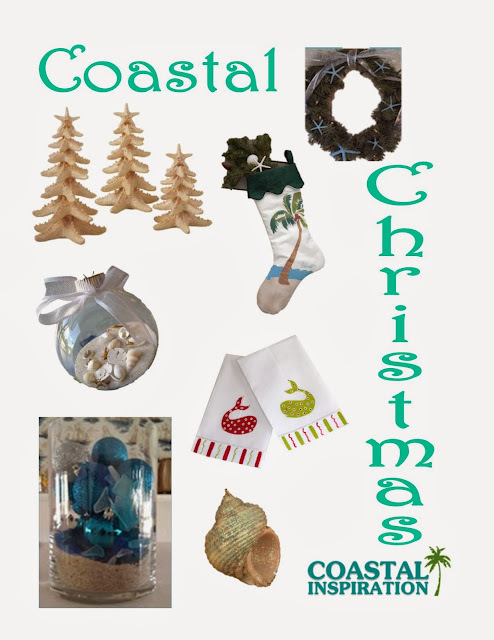 Make your own Coastal Christmas Decor - as easy as filling a jar with sand, seaglass and ornaments or making you own sand and shell filled ornaments. Take it up a notch and make your own coastal wreath or starfish Christmas tree. Or just explore the world of Etsy, where crafty people can do it for you. Like the Christmas Whale tea towels featured here from https://www.etsy.com/shop/LemondaisyDesign.